DAVID LE/Staff photo. 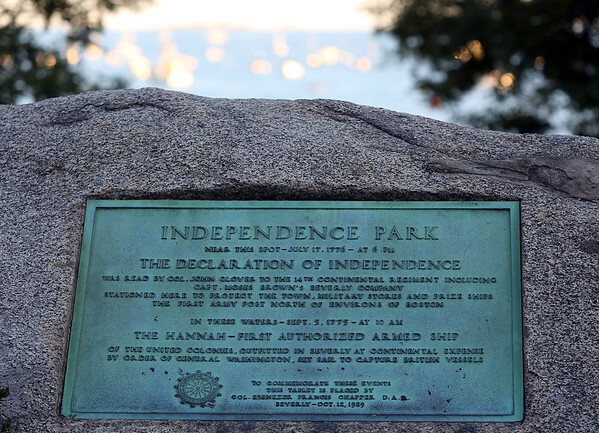 A plaque embedded in a rock at Independence Park in Beverly. 10/6/15.